South Africa is a dynamic and arguably unique market: a growing segment of our consumers are sophisticated, globalised and have many of the same expectations as their peers in more developed markets. South African consumers easily adopt new technology and enjoy engaging with innovative new aspects of the purchasing experience – just witness the growth of Snapscan and similar mobile payments services as testament to this. We also tend to look at developments abroad and have a desire to experience the same convenience and value locally. Overall, there is a positive energy toward great futuristic shopping experiences. But our retailers are often still stuck in traditional holding patterns: even as customers are putting pressure on them for improved technology and innovation, most retailers can still get away with antiquated customer engagement techniques. Even the biggest retailers feel it's good value to give consumers 0.5% in loyalty value for purchases or require them to collect stickers to claim a 3.33% return on past purchases. Outside of lower-income shoppers and charitable organisations who are always looking for additional value for their spend, these types of customer offers hold little genuine appeal. If they do have an appeal with consumers it is mostly because anything different and interesting is a breath of fresh air in an otherwise stale shopping experience. A shopper connected to retail brands through an array of smartphone apps and e-commerce websites and with some measure of disposable income simply won't see the benefit in collecting stickers to redeem nominal amounts of value – especially when they can have a more personalised and convenient shopping experience elsewhere. This exposes local retailers to a not inconsiderable amount of risk: global retail brands are entering our market en masse, bringing with them first-world convenience and shopping experiences. French DIY retailer Leroy Merlin has entered the local market with a single pop-up location and a strong e-commerce presence. It is likely to push local incumbents such as Builder's Warehouse and Cashbuild into improving their shopping experiences as the fight for market share intensifies. The looming prospect of online retail giant Amazon's entry to the South African market must also be giving local retailers – especially the e-commerce brands such as Takealot – sleepless nights. Once local shoppers experience the world-class convenience offered by Amazon and its ilk, they're unlikely to return to retailers that can't quite match that elevated experience. Large retailers have a natural advantage in this challenge: most of the dominant retailers have the budgets to conduct research and development into new technology, test it, integrate it, fund data and analytics projects to test its efficacy, and build large-scale campaigns to start generating customer feedback. Retailers such as Pick n Pay can afford to invest hundreds of millions of rands into customer engagement initiatives such as Smart Shopper. Until recently, smaller and mid-size retailers had little opportunity to enjoy the benefits of the types of emerging technologies that the larger retailers have access to. 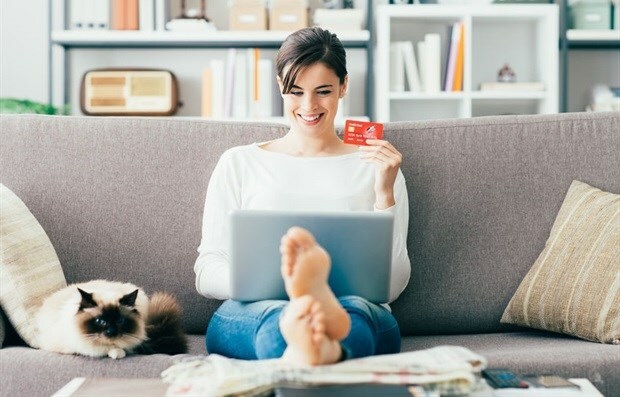 Lately, however, cost-effective technology tools designed to improve the customer experience while generating insights gathered from purchasing and other customer data has become accessible even to smaller retailers. Tools such as loyalty engines, point-of-sale integrated mobile payments, and digital receipting give even smaller retailers access to world-class customer engagement opportunities that can greatly improve their competitiveness against even the biggest retailers. Whether large or small, retailers have one critical tool in their quest for improved customer engagement: data. Anyone running any type of business needs to know who they're selling to, why customers are buying from them, what products or services are most popular, and more. Effective data analysis provides retailers with deeper insights: for example, when to sell certain products at what price, which products are more popular for different types of customer, and where discounts would have the greatest bottom-line impact. Analysing data can be costly. Data scientists are scarce and carry hefty salaries, making it impractical to bring those skills in-house. Building platforms to analyse data is also cost-prohibitive – not to mention that many retailers simply lack the technological proficiency to use complicated data analysis tools. Additionally, smaller retailers struggle to keep focus on their core business functions when bringing this type of work in-house as the demands are often larger than anticipated and require more resources – a cost outlay that ends up draining operational budgets. Technology providers should, therefore, develop tools and dashboards that are easy to understand, intuitive to use and reduce the operational requirements of retailers. At the end of this exercise, retailer data should also be actionable: South Africa does not yet have a culture of using data effectively, and it is difficult to implement actions based on much of the data that is being generated. The focus should be on using data to continuously improve the customer experience at every step of the way. In the US, some companies employ more data scientists than any other department: there is an inherent understanding of the importance of data that is broadly speaking still not part of the fabric of the South African retail sector. The South African retail sector is likely to experience a major shake-up in 2019 as new competitors from developed economies enter our market. Complacency by local incumbents could prove costly: customers will quickly shift their spend to retailers that can combine value with great experiences. There are simple things retailers can implement now to improve their ability to enhance the customer experience and deliver greater value to their customers. But the window is limited: once a customer is lost to a competitor that can provide them with greater value, they're unlikely to ever come back. Research shows that it is easier and cheaper to retain a customer than to acquire a new one – up to 5 times cheaper. Retailers need to ask themselves what they can do now to start building actionable data into their business models to ensure they are equipped to deal with the challenge posed by their global peers. SA’s doors are open to business: ignoring the signs might just mean the doors closing for retailers too slow to adapt. 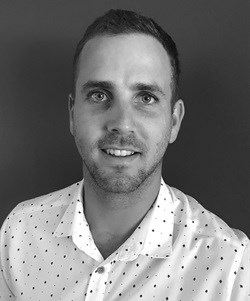 Daniel Logan is the MD at Prodigi Africa, a business that provides digital receipting tools to the local retail sector, and helps them use data to understand their customers better and improve the way they engage with those customers. AI systems are prepared to learn - but are we ready to teach them?